When it comes to essential oils, the first rule of thumb is to ensure that they are pure, botanical based oils and not synthetic fragrance oils. The price of essential oils varies greatly, depending on the type of plant that they were extracted from and the manufacturer that has produced them. Generally, judge the quality of the essential oil by the price. Quite often the cheaper the product, the more it has been diluted and contains synthetic ingredients. In the 1920’s a French chemist, Rene Maurice Gattefosse, coined the term “aromatherapy.” Gattefosse suffered a serious burn to his arm, while working to refine a new perfume. He turned to the nearest cool liquid available to relieve his pain, which was a vat of lavender oil. Reportedly the chemist was rewarded with immediate relief and a speedy recovery without scarring. Occurring to Gattefosse, essential oils are not only useful in perfumery, but also as a healing agent. In 1937, Gattfosse referred to this emerging therapeutic field as “aromatherapie” in recognition of the antiviral, antiseptic, bactericidal and anti-inflammatory properties of essential oils. Essential oils are the nerve/intelligence fluids of plants, being complex, volatile substances containing plant hormones, nutrients and thousands of other bio-chemicals that scientists haven’t documented yet. When smelling or applying essentials oil to the skin, they are absorbed and carried through the bloodstream to their intended target. Essential oils have a balancing effect on the body, mind and emotions. 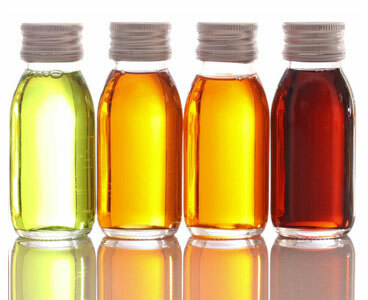 Having a wide range of healing properties, pure essential oils are used with ease and convenience by all.